SANTA MONICA, Calif.--(BUSINESS WIRE)--Mar 22, 2019--Gamers worldwide will embark on an unforgettable journey that makes death an enemy and ally in the highly-anticipated videogame, Sekiro™: Shadows Die Twice. 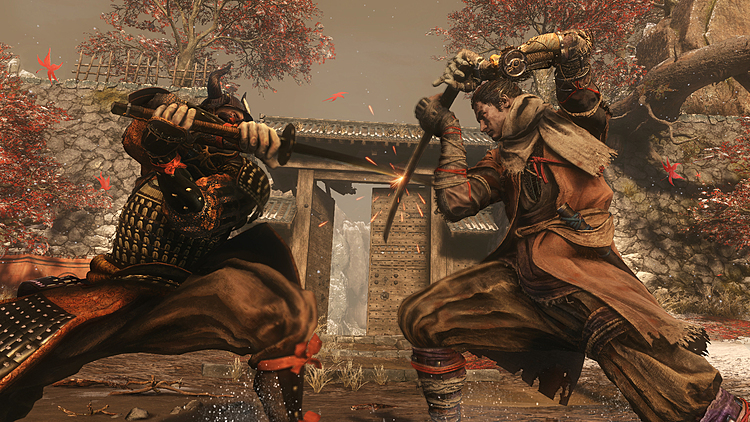 Directed by Hidetaka Miyazaki of FromSoftware ( Dark Souls and Bloodborne ), Sekiro: Shadows Die Twice launches today as an epic adventure that introduces players to a beautifully dark world filled with brutal enemies, intense sword combat, and engrossing vertical exploration! The game is now available on PlayStation®4; PlayStation®4 Pro; the family of Xbox One devices from Microsoft, including the Xbox One X; and PC via Steam. “ Sekiro: Shadows Die Twice is a game set in Japan’s Sengoku era and portrays the great battle faced by a lone, one-armed shinobi. Withered and ruined landscapes combined with a vibrant color palette make for a game world that is true to the FromSoftware style, in which the player is always one step away from death. It is our hope that new and old fans alike will enjoy our shinobi’s journey; rich with intense and dynamic combat,” said Hidetaka Miyazaki, President of FromSoftware and Director of Sekiro: Shadows Die Twice.